Welcome to Day #8 of Chocolate and Fruit Theme Week. Today's Totally Tangy Mango dark chocolate bar with mango, lime, sea salt and chili, from Chuao Chocolatier (Carlsbad, CA), was packed with well balanced flavor. The tasting experience was full of excitement—in a good way. 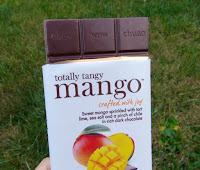 The aroma and initial flavor of smooth, dark chocolate was quickly eclipsed by a short bright burst of mango fruit and lime, followed by a light sparkle of sea salt, and then back to chocolate and fruit. The pasilla chili provided some warmth and flavor depth to the chocolate without being too spicy. And a trace of vanilla helped to sweeten and mellow the blend. 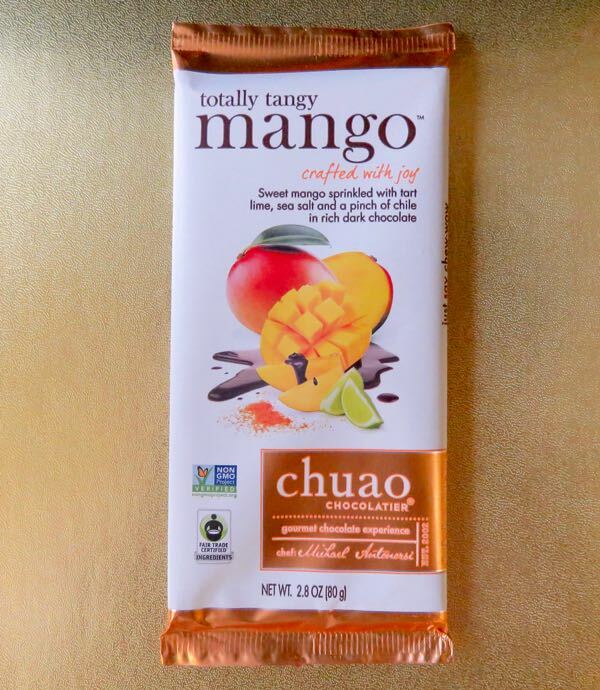 The Totally Tangy Mango bar flavor combination was created by Chuao's Master Chocolatier, Chef Michael Antonarsi, who came to the U.S. from Venezuela with a host of fond food memories—including the dusting of fresh, sweet mango fruit with their own special blend of chamoy (lime, salt, pasilla chili). *The use of sunflower lecithin instead of soy will please those who can't have soy. Welcome to Day #7 of Chocolate and Fruit Theme Week. 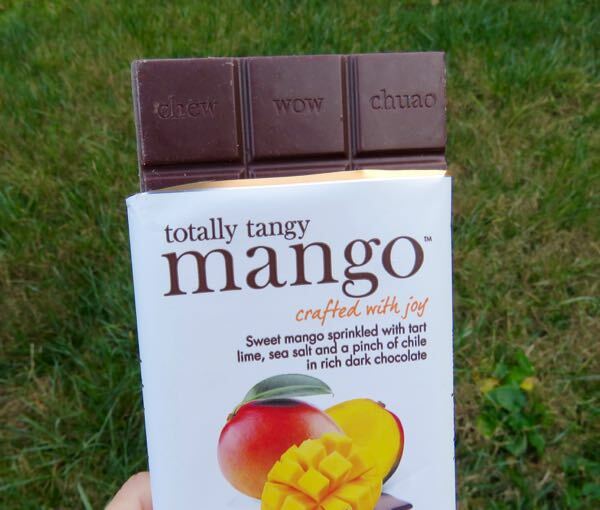 This week we've featured chocolates containing a variety of fruit additions, including: apple cider, cherries, wild blueberries, mango and banana. 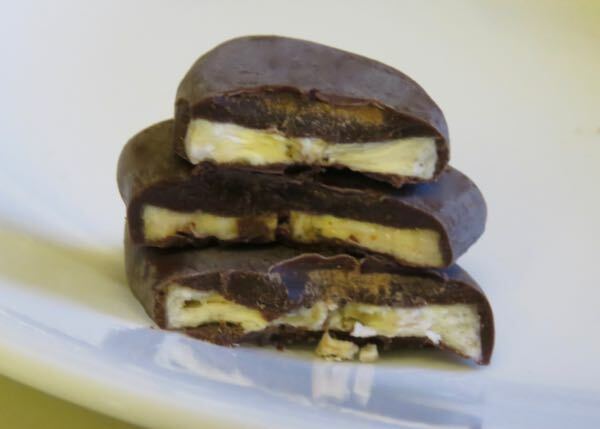 Yesterday's chocolate was a sweet milk chocolate confection of a bar, banana filled and topped, from France. Today's Dark Chocolate Covered Bananas from Torn Ranch (Petaluma, CA) offered a robust, less sweet counterpoint to yesterday's confection. 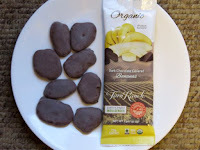 Bold, smooth dark (72% cacao) chocolate with light earthy and very subtle nutty flavor notes, surrounded thick, perfectly light and crunchy organic banana chips.